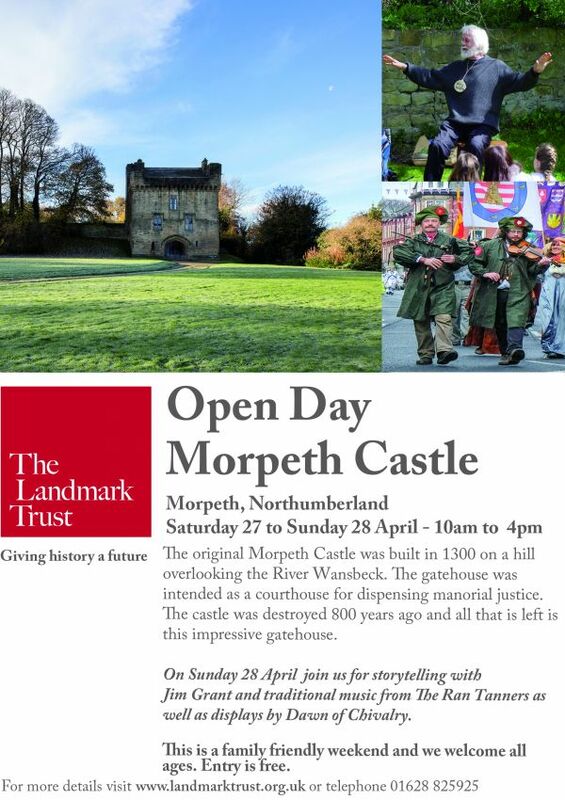 The Landmark we know today as Morpeth Castle was originally a gatehouse built at the entrance to the castle from which it gets its name. Morpeth Castle sits on a hill with fine views of the town and the River Wansbeck. This is a family friendly weekend and we welcome all ages (and picnics!) These free open days will be an opportunity to see inside this local landmark and learn more about its history and restoration. Northumbriana.org.uk will be providing a living history presence at the open days which will include music by The Ran Tanners and stories by Jim Grant. Free Admission and leaflets on the building's history. Parking is available in the town.